The Smoking Sanctuary — Can Mangoes Really Elevate your High? You've heard the Myth, we tested it! What is it about mangoes that have the cannabis community running to their local Grocers? Keep reading to find out..
Mangoes are a juicy tropical stone fruit, full of vitamin A, C, and only 201 calories which make it a great snack. But why are stoners consuming mangoes everyday? Mangoes have this delicious, exotic fragrance, that is caused by a chemical called Myrcene or (or β-myrcene). You may have heard of myrcene from your local "pharmacy," especially if they're talking about terpene testing. It's a terpene, found in many strains of cannabis, but also in hops, lemongrass & basil. Myrcene has a slightly fruity, earthy aroma which is why some of your favorite beers may have that delicious aromatic fragrance. 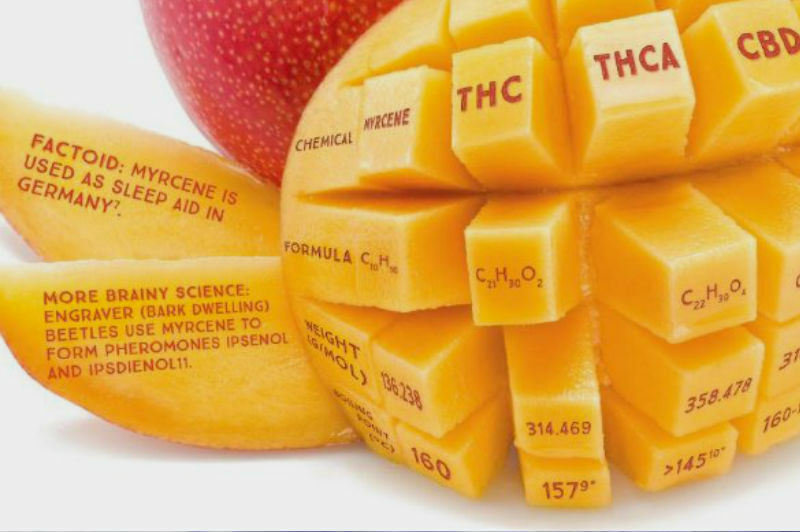 When you eat mangoes, the myrcene reacts with the cell membranes in your brain, which then allow them to be more receptive to the absorption of cannabinoids. Its been said that if you consume a ripe mango or two right before ingesting cannabis, it can increase the level of high almost 10 fold! Some say even eating mango within that same day can still have effects.. Although there have been talks of your metabolism having an effect on how many mangoes you eat. Though, honestly girl, eat all the mangoes! They have so many wonderful benefits on top of raising your elevation mile high. We love this recipe when it comes to having some of nature's other candy. The verdict? Yes. Its definitely true. Not only does it enhance the elevation, but more importantly it enhances the specific traits of that strain. We absolutely felt a difference. The Ghost OG joint we had with our mango smoothie uplifted our senses and allowed us to focus in and be even more productive with our studies and accomplish a huge chunk of our set goals for the week. We certainly recommend you try it out for yourselves! Have you noticed a difference in your elevation when you eat mangoes? Share your experiences below!